Are your thoughts valuable to you? NOW is the time to change them. Nothing matters but the moment and what you are focusing your attention on. We all work with an infinite power. What is happening in your mind is what you are attracting. We are like magnets – like attracts like. You become what you think. Every thought has a frequency. The thoughts send a magnetic energy. People think about what they do not want and attract more of the same. Thought = creation. If these thoughts are attached to powerful emotions (good or bad) that speeds the creation. Those who talk more about illness have disease, those who talk more about prosperity, have it, etc. This is not just a “wish”. You cannot have a universe without the mind participating in that. Choose your thoughts carefully. You are a masterpiece of your life. Thoughts do not manifest reality immediately, which is fine imagine that we saw a picture of an elephant and it appeared instantaneously. EVERYTHING in your life you have attracted … Accept this fact. It is true. We do not need to complicate all the “reasons” behind our emotions. It is much simpler than that. There are two categories: good feelings and bad feelings. Thoughts that bring good feelings mean that you are on the right path. Thoughts that bring bad feelings, means that you are not on the right path. Whatever you are feeling is a perfect reflection of what you are in the process of becoming. You get exactly what you are FEELING. 20 Happy feelings will attract more happy circumstances. 21- You can start to feel whatever you want (even if it is not there). The Universe will correspond to the nature of your song. That which you focus on with your thoughts and feelings is what you attract towards your experience. What you think and what you feel and what you actually manifest is ALWAYS similar … Without exception. It is important to feel good and well! You can change your emotion immediately. .. When thinking of something fun, Or sing a song or remember a happy experience. When you feel the blow of that, before you know it, you KNOW that you are the creator. Life can and should be phenomenal … And it will be when you consciously apply the Law of Attraction. 30. The Universe will re-arrange itself, according to that. You do not need to know HOW the universe is going to rearrange itself. You can have an inspired thought or idea to help you move toward what you want more quickly. The universe likes SPEED. Don’t delay it, don’t guess, don’t doubt. 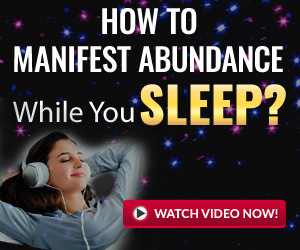 You will attract everything you need – money, people, connections. PAY ATTENTION to what is brewing in front of you. You can start with nothing .. And out of nowhere or with nothing – a FORM will be provided. 39 How much TIME? There are no rules in time … The more aligned you are with positive feelings, the faster things happen. Size is nothing for the universe (unlimited abundance, if that is what you want). We make the rules about size and time. There are no rules according to the universe … you provide the feelings of having it now and the universe will respond. Most people offer most of their thoughts in response to what they are observing (receipts in the mail, being late, having bad luck, etc.). You have to find a different way of approaching what you thought was a different vantage point. What can you do right now to turn your life around? Gratitude. ​​Gratitude will bring more to our lives immediately. What we think about and what we appreciate is what we attract to us. What are the things that you are grateful for? Feel the gratitude … focus on what you have now for which you feel grateful. Display the image in your mind – focus on the final result. VISUALIZE! Watch it, feel it! Here is where the action begins. An affirmative thought is 200 times more powerful than a negative one. The how are the domain of the universe. This always knows the fastest, fastest and most harmonious way between you and your dream. If you deliver it to the universe, it will surprise you and amaze what is delivered. Here is where magic and miracles happen. Feel rejoiced by the whole process … in a happy, toned way. The only difference between people who really live in this way is that they are accustomed to the ways of being. They remember doing it all the time. Create a Vision screen … imagine what you want Attract … every day look at it and get into the state of feeling that you have already acquired these desires. “Decide what you want … think you can have it, believe that You deserve it, believe it is possible for you . Close your eyes and visualize having what you already want and feel the feeling that you already have. Focus on feeling grateful for what you already have … enjoy it! Then release it in the universe. The universe will manifest it. Set a goal so great that if you attained it, your mind would explode. When you have an inspired thought, you must trust him and act on that. How can you become more prosperous? TRY IT! “Checks arrive in the mail regularly” … or change your bank statement to the balance you wish to see there … and get into the feeling that you already have it. Look for the inner feeling of joy and peace and then all things appear outside. We are the creators of our universe. Relationships: Treat yourself the way you want to be treated by others … love yourself and you will be loved. For those with whom you work and interact regularly, look for a notebook and write down the positive aspects of each of them. Write the things that you like most about them (do not expect them to change). The Law of Attraction will not put you and him in the same space together if their frequencies are not or are in agreement. When you understand your potential to feel good, you will ask that none be different so that you feel good. You will free yourself from the uncomfortable impossibility of controlling the world, your friends, your partner, and your children. No one else can think or feel for you … you are YOUR … ONLY YOU. Health: thank the universe for your own healing. Laughter, and tension-free happiness, that will keep you healthy. The immune system will heal itself. The parts of our bodies are replaced every day, every week, etc. Within a few years, we will have a brand new body. Visualize yourself living in a new body. Hope = recovery. Happiness = lucky biochemistry. Stress degrades the body. It removes the tension of the body and the body regenerates itself. You can heal yourself. Learn to stay still … and take your attention away from what you do not want and focus your attention on what you want to experience. When the voice and the vision of the interior becomes more profound and clear than the opinions of the outside, then you have achieved the Mastery of your life. You are not here to try to make the world as fair as you want it to be. You are here to create the world that surrounds you and that you have Chosen. And it allows the world, as others have chosen to see it that also exists. People think that if everyone knew the power of the LDA (Law of Attraction) there would not be enough for everyone. This is a lie that has been rooted in us and makes us very greedy. The truth is that there is more than enough love, creative ideas, power, happiness, and happiness for all. All this abundance begins to shine through a mind that is aware of its own infinite nature. There is enough for each one. Go and believe in it, it will be shown to you. So let the variety of your reality excite you when you choose all the things you want … enter into the good feelings of all your Desires. Write your script. When you see things you do not want, do not think about them, write about them, talk about them, push them or join groups that focus on what you do not want … remove your attention from what you do not want and place it in what you if you wish. We all are energy. Everything is energy. Do not define yourself by your body … it is the infinite being that is connected to everything in the universe. 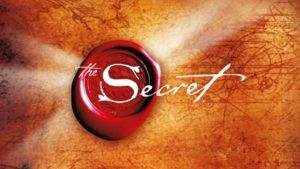 Previous articleWhat is Law of Attraction and How does it work ?